This is not a scary soup recipe made on bone nor fingers ! 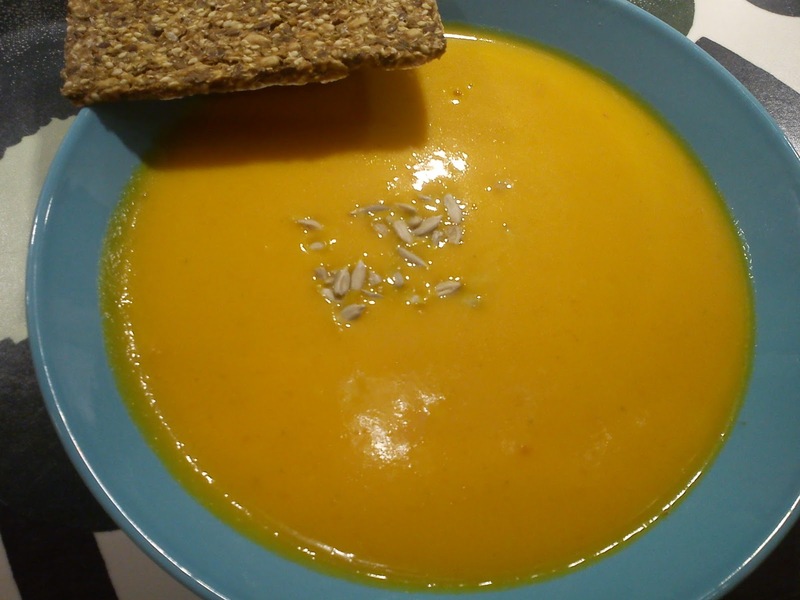 This is a comforting and warming Halloween soup made on hokkaido pumpkin ! Put the rest of the vegetable and vegetable stock into the cooking pot. Heat up everything to the boilling pont. Let the vegetable cook gentle for 15-20 minutes. Heat up to the boilling point. 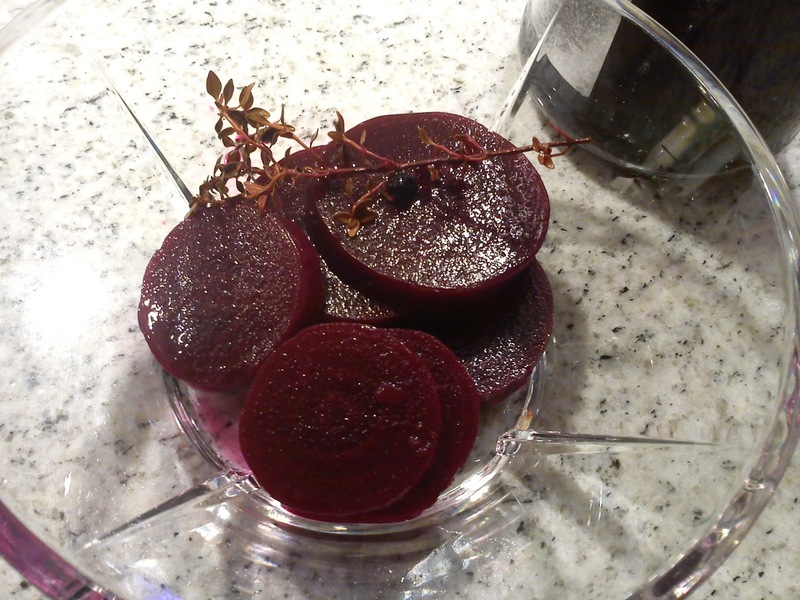 During my creative beetroot cook out in my little kitchen I turned 3 kg of boiled beetroots in 4 different pickled beetroots, It is actually very easy to do, as the beetroot slices is identical, the difference is in the pickle liquid. I used a recipe from Camilla Plums cook book (Mormormad = Grandmas food) as inspiration using the ingredients, which I had available in my kitchen. 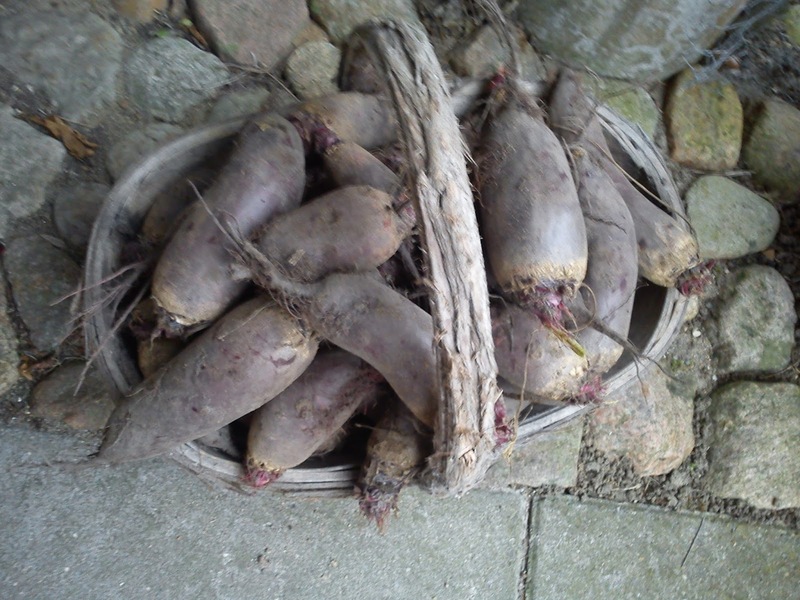 The boiling time for the beetroots depend on the size of beetroot, so everything between 20-50 minutes, so check after 20 minutes cooking with a kitchen knife, if the beetroot is firm or soft. Add vinegar, sugar, thyme and herbs in a cooking pot. When I am in Paris on business trip I somehow always managed to return with my suitcase full of Kusmi tea, yogurt and cheese. During lunch breaks or after a full meeting day I "run out" of the meeting room with a shopping bag and a long shopping list. 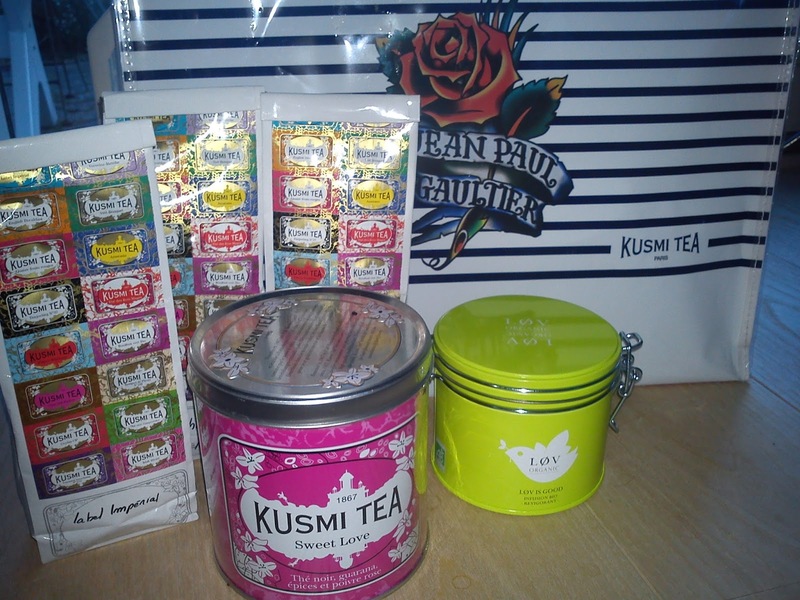 At my last trip I managed to fill my suitcase with various Kusmi tea incl this special Kusmi shopping bag with Jean Paul Gaultier logo, which I got as a gift in the shop due to my large shopping volume !!! 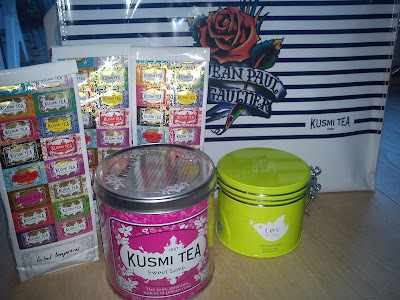 I always go to the Kusmi shop on 75 avenue Niel, Paris, as this specific shop sell the Kusmi tea in both the tins as well as refill without the tin. I do not see any reason to keep filling up my kitchen with more metallic tins, than I already have. 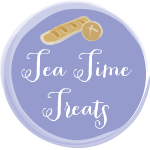 So now I am ready for the dark Winter time, where I will spend more time inside drinking tea, actually plenty of tea. 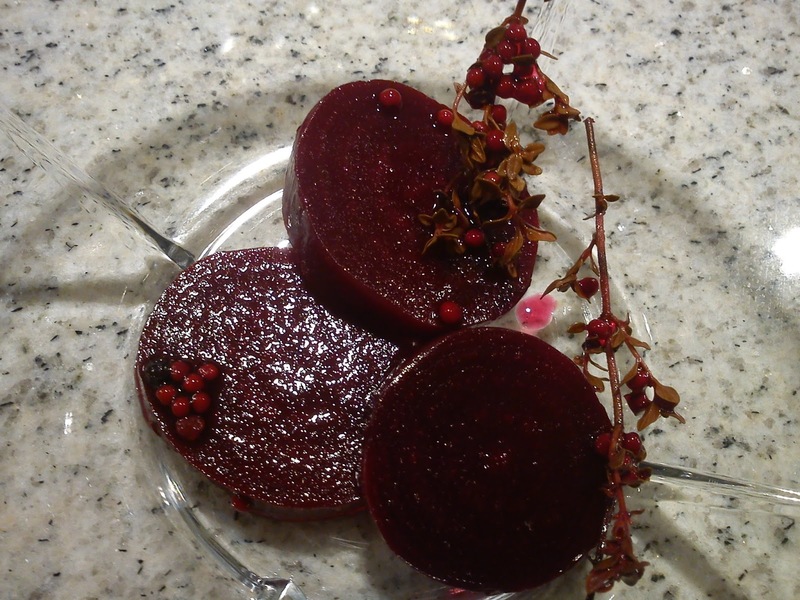 I some ago stumbled over a cake recipe, which was a combination of chocolate and beetroot, which I found to be a very interesting combination of vegetables in sweet cake. 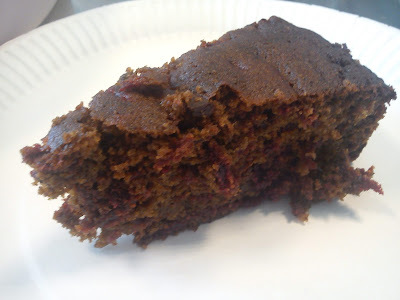 So when I received a BIG portion of beetroot, it was time for me to bake such chocolate-beetroot cake. The original recipe, which I stored in unknown place, could not be located, so I went searching for another suggestion, and I here I found this recipe on beetroot-chocolate cake, which I made no modifications to. Chocolate-beetroot cake is really love or hate cake, where is no in between !!!! I love this, but some of my work colleagues had their worst cake experience every in entire life !!!! Heat the oven to 190'C. Whip butter and muscovado sugar into a light and foamy texture on a stand alone mixer. Add in the egg one by one, whip between each addition of egg. 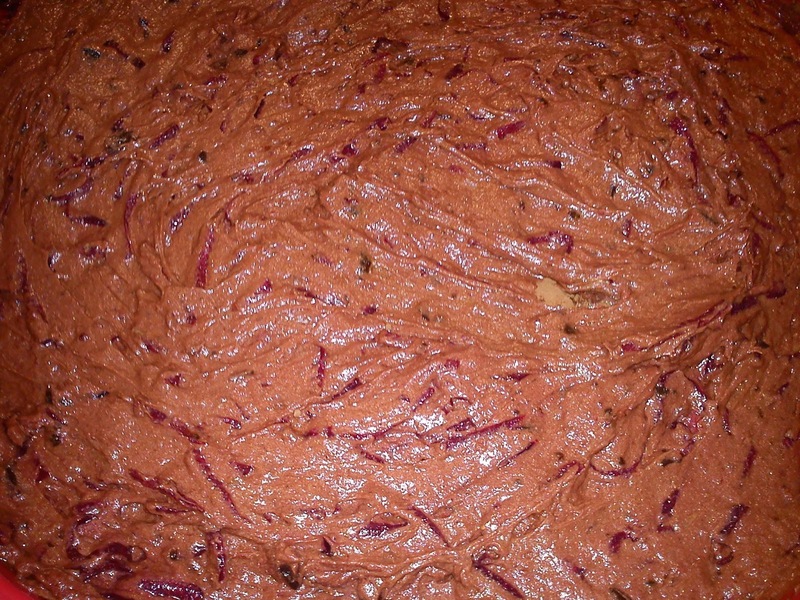 Sieve flour, vanilla sugar, baking powder and cocoa powder, before it is added into the cake. Stir this in by hand. 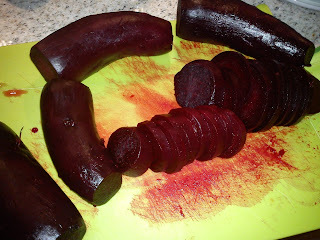 Afterwards stir into the grated beetroot and chopped chocolate. Pour the cake dough into a round form (25 cm in diameter). Bake the cake in the middle of the oven at 190'C for 40-50 minutes. 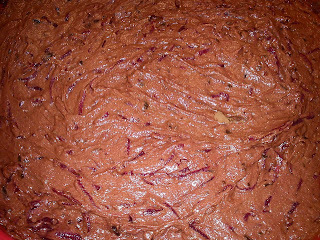 Check the cake texture with a knitting needle, that it is baked, before removing it from the oven. Cool down the cake. Optional dust icing sugar over the cake, before serving it. Add vinegar, sugar, thyme and peppercorns in a cooking pot. Baking bread in cooking pot without kneading the dough at all becomes more and more popular in my kitchen. Making bread this bread requires planning, as the raising for the bread dough is between 12-24 hours !!! When I was making this bread this morning, I must have been a little bit sleepy still, as I forgot to remove the plastic things, which is keeping a distance with the actual cooking pot and it´s lid !!! Heating up the cooking pot in a fan oven at 250'C means, that plastic is melting. However, I do not have worry about this anymore, as the melted plastic has left the kitchen in garbage bag !!!! The inspiration for this bread comes from the bread book "Det æltefri grydebrød" and the recipe called quinoabread. 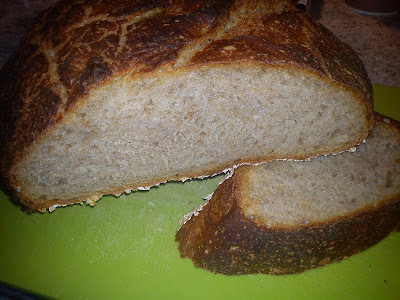 Anyway I made the bread without the quinoa seeds, so the dough felt like it needed more water (the dough was very firm), so therefore I increased the water content. Stir yeast, sour dough and water together in a big mixing bowl. Add salt and honey into the liquid and stir well.